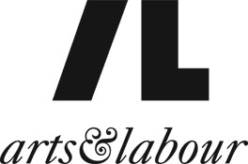 Every two years, thousands of journalists and photographers descend upon Venice to cover one of the greatest spectacles of the international contemporary art scene; the Venice Art Biennale. 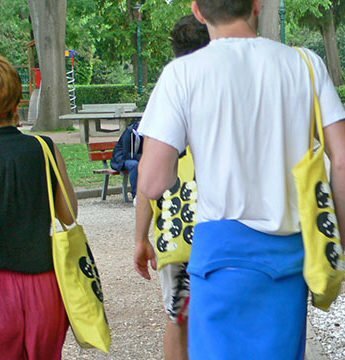 The crowds are not only recognizable for their stylish attire, but also for the various canvas tote bags nonchalantly hanging over their shoulders. The tote bags are part of a media package each participating country’s pavilion puts together and cautiously dispenses to its first VIP visitors. Each bag generally displays the name of the country with the title of the art exhibit imprinted on a white or died fabric. The crowds like getting these bags. The better-looking the bag, the more they like them. Most of the bags, however, fall short of good design, even though they play such an influential role. During the Venice Art Biennale, they literally turn into mobile displays, visually publicizing each participating country—from Azerbaijan to Zimbabwe. It’s a surprise that the participating countries do not put more effort into designing more inspired, or better yet, inspiring bags. 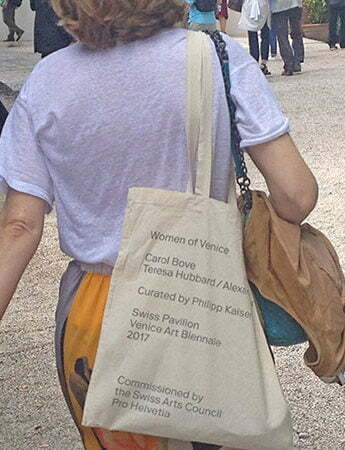 It’s an even bigger surprise that none of the countries consider collaborating with their own participating artists to make the bag a corresponding part of their pavilion’s art exhibition. Instead of the free throw-away they are now, the bags would inevitably become highly desirable—an irresistible product the throngs of art lovers would not hesitate to spend a few bucks on. 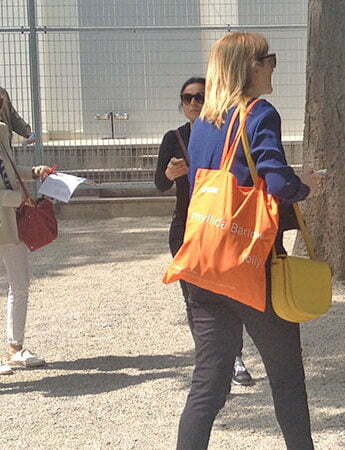 After all, who wouldn’t expect to pay for a well-designed, limited edition art bag from the Venice Biennale? 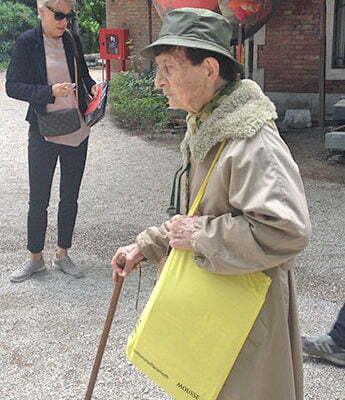 As an example, our Canadian Pavilion bag could have been designed in collaboration with the artist representing us at this year’s Biennale—the Vancouver-based Geoffrey Farmer. His ‘floods’ installation, with the elements of gushing water and wood logs, most definitely could have visually translated into a commemorative bag that was as refreshing as the installation itself. In the end, we can’t help but wonder aloud – shouldn’t the bag no one cares about today play the paramount visual role it deserves to when the next Biennale comes around?